Without artistic ability, experience or inclination, this body of work began spontaneously on the morning of January 20, 2001. Originally, these drawings were not intended to be shared publicly and certainly not considered from an artistic perspective, as this was a personally journey for the artist and one that is not easily shared or explained. To that end, the artist does not offer any explanation or opinion about the source or meaning of these drawings and leaves it to the viewer to make up their own mind. This is also the reason the artist chose to use the name “Enigmatic Drawings” rather than his own name upon making the drawings publicly available. Upon viewing the drawings, the reaction for most, is usually one of astonishment and intrigue but for some; it is a profound experience. Without a frame of reference, it is difficult to find the words that could encapsulate what these drawings are or the experience they engender in the observer. The wise adage; “a picture is worth a thousand words” is very apt in this instance and perhaps so much more. The drawings are unprecedented, complex and thus far inexplicable and yet universally received. "One aspect I am sure of, this is no so much art as it is an expression of information in visual form, which carries more than language can express. The content is sophisticated and expresses knowledge beyond most known concepts." Thus far, the body of work consists of; First-Series/Genesis, Second-Series/Matrix, Third-Series/Origins and Derivatives with more drawings underway. Unique and extraordinary, this drawing evokes profound reactions in the observer. Its level of detail and complexity is unprecedented, resulting in more detail and complexity than all of the 18-drawings of the First-Series combined. This drawing contains around 20,000 symbols together with vast array of geometry, frequencies and code like content. It is layered with detail that reveals itself only to the astute observer. This drawing took some 2,500 hours of drawing time over 5-years to complete, making it the most detailed drawing known to exist. This drawing is an organic evolution of the Second series Matrix drawing. It is the first of the next generation of drawings, with more expected to follow in this series. The intricacy of this piece captures the audience through a deep perceptual experience, which is individual to the viewer. we invite you to explore your own ideas of this work as a progression of the First and second series. The Derivatives are extracts of the original blueprints with some variation. The variations provide a different perspective by the use of colour and filters that serve to highlight or draw focus to the various layers that would otherwise be hidden or obscure. 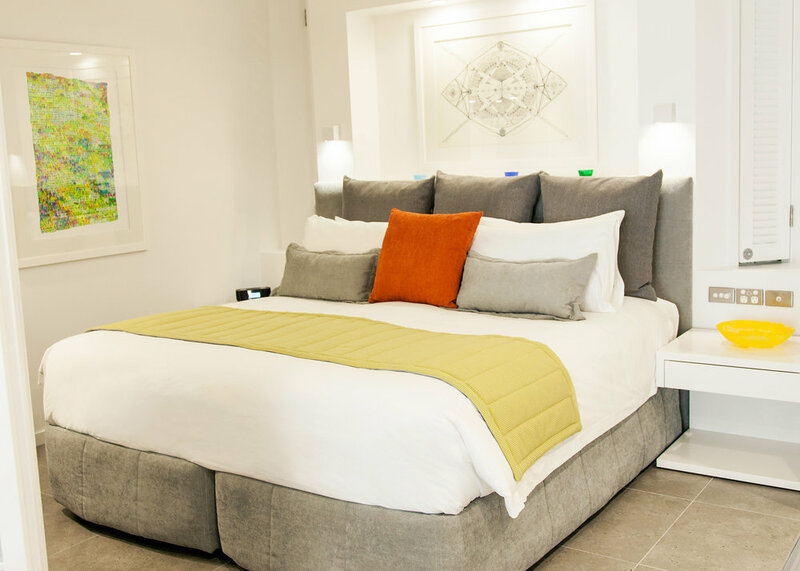 WHAT IS AN ART HOTEL? 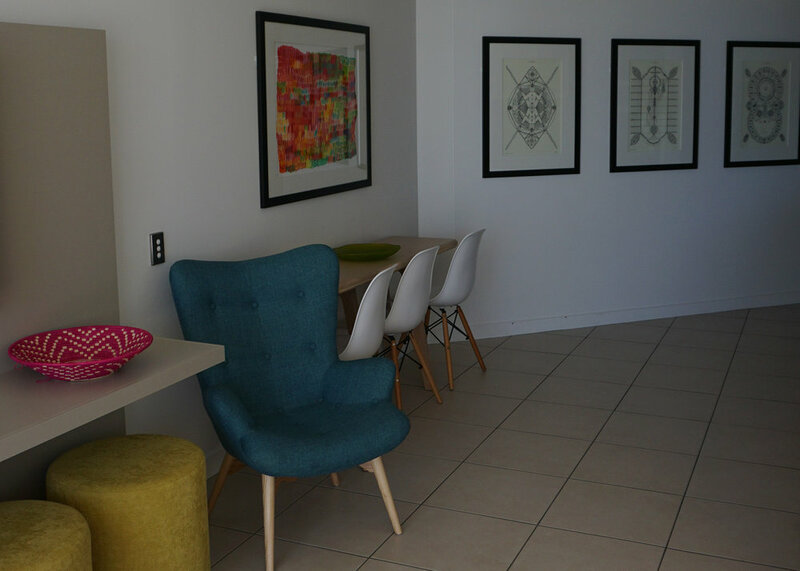 Boutique accommodation that seamlessly merges a collection of fine art pieces with classic architectural furniture, soft furnishings & designer décor throughout each apartment. 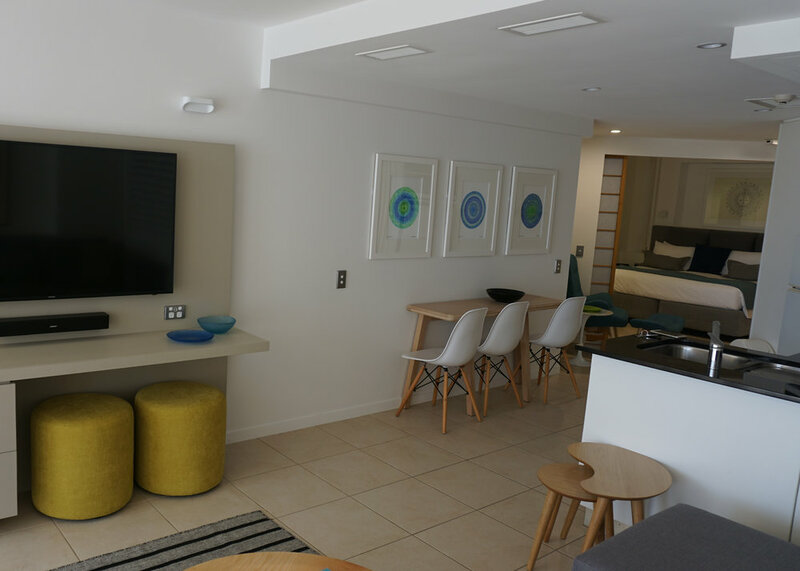 The renovation of Noosa’s iconic beachfront hotel is now underway. Under the direction of Netanya Management, Enigmatic Design Solutions (a division of Enigmatic Drawings) has been asked to take the lead on the design & project management of the internal upgrade. As we approach the halfway mark with the apartment renovations, the transformation between the old and the new is remarkable to say the least. 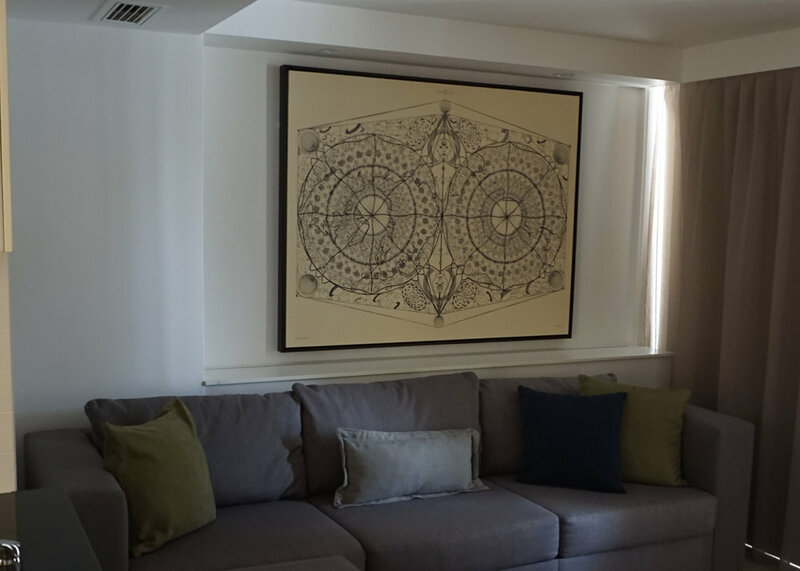 Artwork by Enigmatic Drawings (George Allan) and guest artist Chelsea Hopkins-Allan combine to create a unique and beautiful atmosphere in both the apartments and hotel foyer. 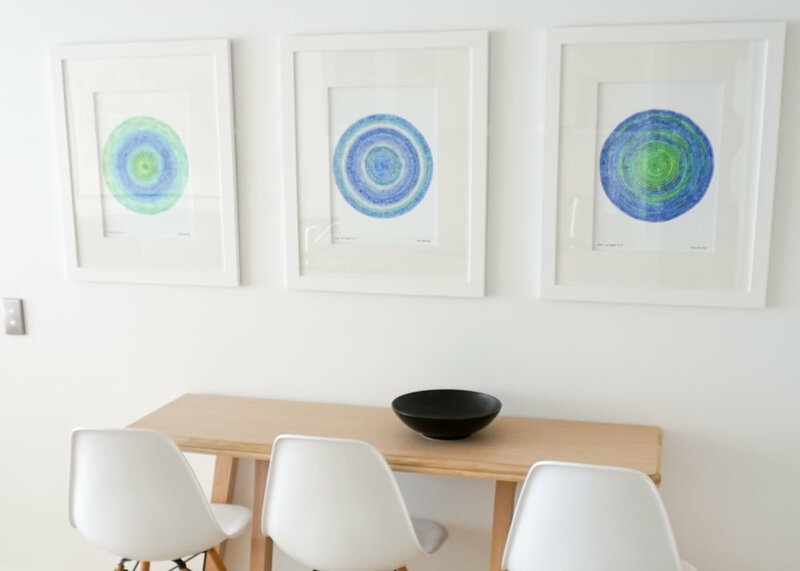 A seasonally rotated display of Enigmatic Drawings (George Allan) & Chelsea Hopkins-Allan art works is on display throughout the year for viewing and purchase. The exhibition space is staffed on select days to offer information and assistance.